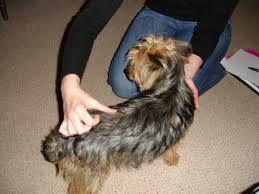 What Is Dog Bowen Physiotherapy? What types of issues can it help? How to I prepare my dog for a session? There is nothing special you need to do! At the start of the session, I'll get your information and the dog's history while the dog gets to know me, then we begin. A session takes 30-45 minutes. Where is the session done? In the comfort of your own home! It's best to do the session in a quiet space, so if you have more than 1 dog, I ask that you keep the others in a separate room or outside during the session. The bodywork needs time to integrate, so I ask that you not hug, wrestle with or have your dog groomed for the 24 hours following a treatment (I know, it's hard!). Touching anywhere around their head is fine. 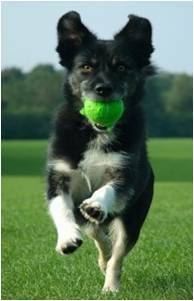 Your dog can resume normal activity immediately following the treatment - walks, play, leash-free with friends, everything. They may be a little more tired and sleepy than usual, so just give them their space while they process. I've gotten consistent feedback that Bowen helps to normalize their sleep patterns and that the dogs tend to stop getting up at night if they did previously. How many sessions will my dog need? I recommend that you plan for 3-4 sessions, each 1 week apart, for mobility or spinal issues. For other issues, it depends on the duration and depth of the issue. It also depends on how your dog responds - I've had dogs bounce back after 1 treatment, there are others that need 5 to completely resolve. As for followup sessions, well, that's up to you. 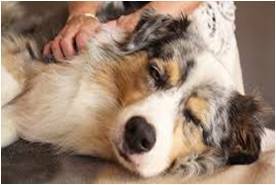 If you see your dog starting to decline, he/she might just need a one-session tuneup. I recommend an annual session to keep them balanced and functioning well, but you'll know when your dog needs it. A session costs $50 (includes HST). Packages of 3 sessions can be purchased for $125.